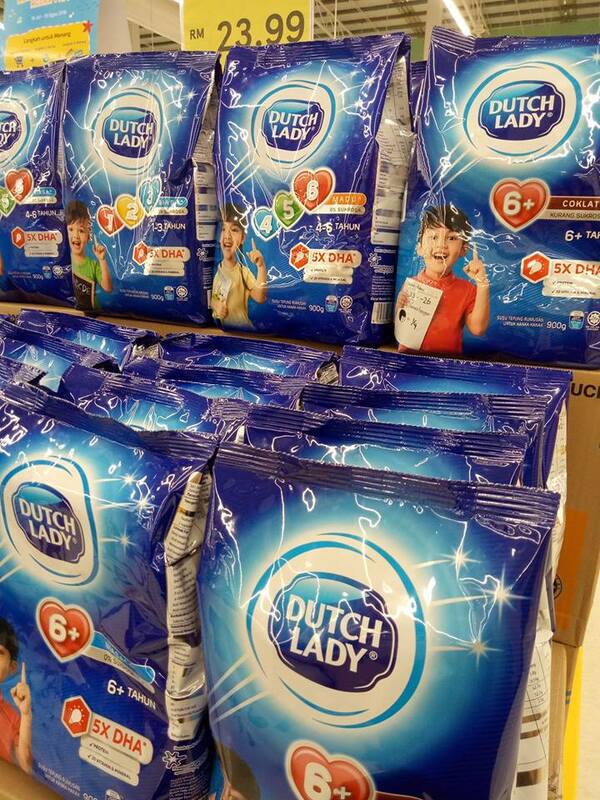 Hi parents, have you noticed the new Dutch Lady Formulated Milk Powder on the market lately? We simply love the new Dutch Lady Formulated Milk Powder that comes with more DHA. Dutch Lady, the No. 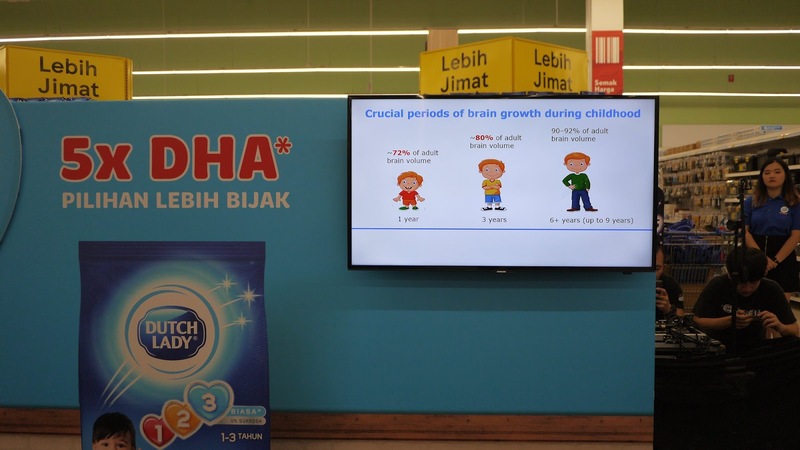 1 Formulated Milk Powder for children brand in Malaysia now offers its highest level of DHA(docosahexaenoic acid) formulation to support children's development in a new pack. We were honoured to be invited to their media launch event last week. 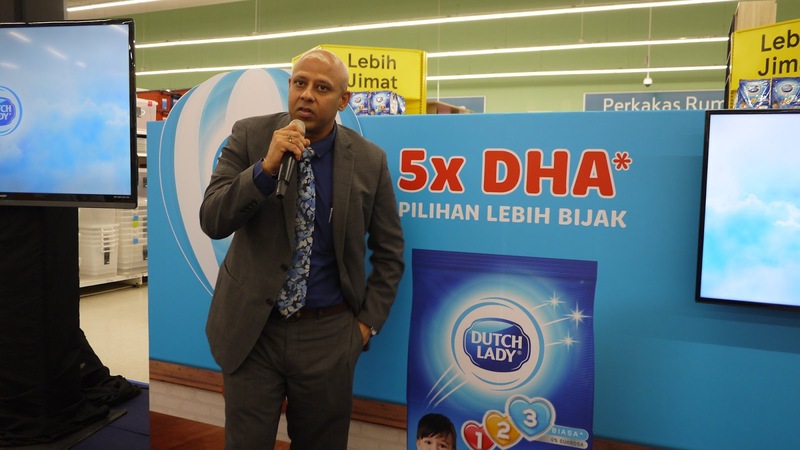 Speaking to the media at the launch, Mr. Tarang Gupta, Managing director of Dutch Lady Malaysia said the company has continuously improved its products over the years and is responsible for shaping Malaysia's formulated milk powder for children category. “Since our inception in Malaysia more than 55 years ago, the company has been committed to nourishing the nation with trusted diary nutrition. In line with this, we have been responsible for introducing key developments in the category for children to Malaysian mothers in 1988. We were also one of the first to introduce '0% sucrose or less sucrose' formulation in our products in 2012 to help address the rising concerns of non-communicable diseases (NCDs) in Malaysia,” highlighted Mr. Gupta. 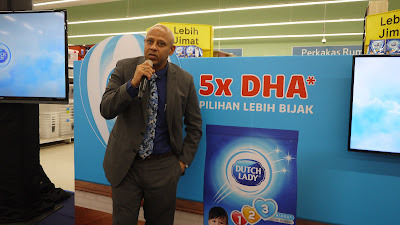 Ashlee Ng, Marketing Director of Dutch Lady Malaysia further explained the significance of having high DHA in children's milk:”60% of our brain is made up of fats and one of the most important fats is DHA that helps a child's brain to develop. DHA is like building blocks for the brain and its importance is even more evident for young children, because their brains are growing rapidly,” said Ng. 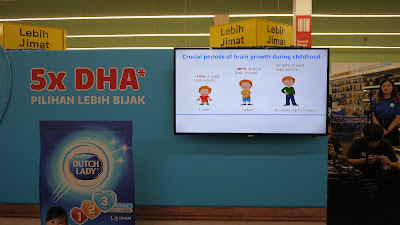 During the launch event, a nutritionist has shared that DHA helps lay the foundation of a child's brain development during ages one to five years. DHA is abundant in some fatty fishes, it may not be convenient or easy to include it in a child's every day diet to ensure DHA is fully absorbed into their syste. However, it will not be the case with formulated milk consumed by Malaysian children on a daily basis, specifically the 1 to 3 years old. Besides, parents also encouraged to boost their children's smartness by allowing them to play with building blocks or bricks, which allows kids to unleash their imagination and build or invent without any limitations. They also get the chance to practive their matching, counting and sorting skills. Celebrity mum, Scha Alyahya has shared some moment of her daughter, Lara Alana, brand ambassadors of Dutch Lady Formulated Milk Powder for children. Scha said. “I'm really proud to see my daughter, Lara, growing up to be smarter and healthier day by day. Lara grew up drinking Dutch Lady Milk, and for me it is also the only brand I trust to provide quality and safe nutrition for her. 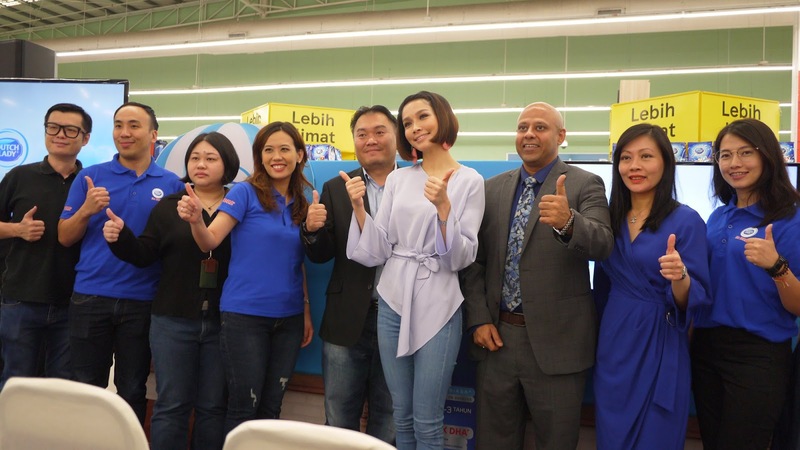 It's good to know that my little girl can enjoy her favourite milk and at the same time nurture her smartness as well,” said Scha. Aside from ensuring Lara is well-nourished, Scha often uses building blocks to stimulate Lara's creativity. “Lara loves building castles, and then she would create her own stories about princes and princesses living in it, and the adventures they have as well. Listening to the twists and turns in her tales, I can't help but marvel at how imaginative she is!” she shared. Raise a smart, and bringht child with good value nutrition from Dutch Lady today! Dutch Lady 123, Dutch Lady 456 and Dutch Lady 6+ with 5xDHA is available at all major hypermarkets and stores nationwide.